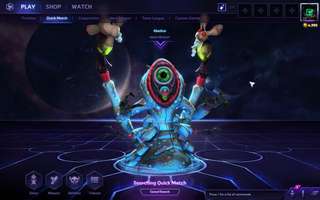 Hey Heroes of the Storm Abathur players, I need to ASKathur you a question. Hey Heroes of the Storm Abathur players, I need to ASKathur you a question. Sorry. I want to put together a guide for this strange, wonderful hero since he’s finally on free week (and because he’s notoriously difficult to master). Please let me know if you have any gameplay tips or build strategies to suggest. Thanks!